How Timberland Owners Can Mitigate the Risks Associated with Storms | American Forest Management Inc.
Like any investment, investing in timberland has inherent risks. 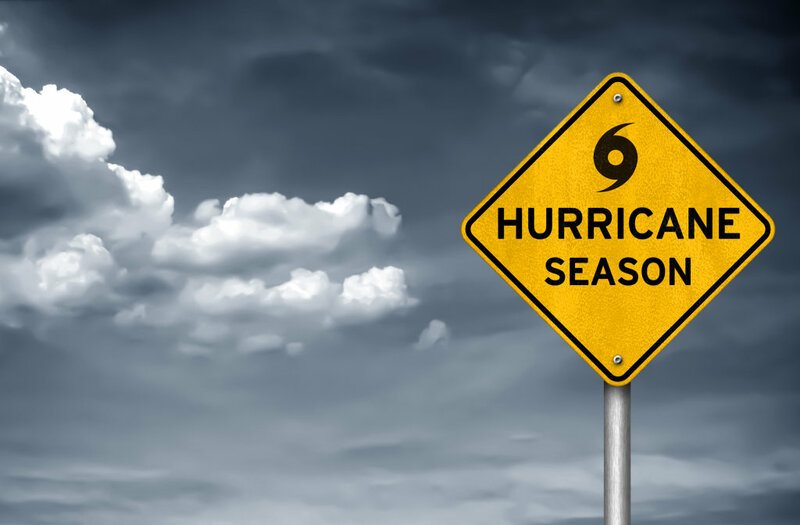 Given the recent impacts of Hurricane Florence to North Carolina and South Carolina, we thought it timely to discuss risks from storms like the recent hurricane and how owners of timberland can mitigate those risks. Risk investors of timberland often consider include wind, ice, fire, and drought. These risks can have a greater effect on the stand depending on its stage in development or age. For example, wind damage does not typically occur in really young stands because the stems are flexible and low to the ground; however, stands approaching maturity can be severely damaged by wind throw and breakage. On the flip side, young stands have a higher susceptibility to damage by fire, they are often dense, low to the ground and can easily be consumed by fire; whereas well managed older forest stands many not experience a significant loss in wildfire, the heat can escape and not damage the crowns of the trees high above the ground and the bark is thick enough to protect the individual trees. They type of risk changes over the life and maturity level of a forest. Damage from storms can occur in several ways, the most obvious is wind throw, the high winds from the storm blow the entire tree over or the wind speed breaks off the tree stem, causing permanent damage. This damage can occur across fairly large areas during hurricanes or in localized areas with tornadoes. Even strong thunderstorms can cause localized damage. Trees can be tolerant of flooding for short periods, mature loblolly pine can survive periods of flooding for up to three weeks without adverse effect. A young or premature pine stand is more susceptible if completely covered with water and may die if submerged for more than a week. Hardwood trees can be tolerant to flooding for longer periods than pine, especially if the flooding occurs outside the growing season. Landowners reduce their risks several ways. Large owners reduce risk by spreading their land holdings over several counties and states. They also diversify their holdings by age class, owning timber at multiple stages of maturity. This geographic and age class diversification reduces their potential for one single storm or event to have a large impact on their “portfolio” of holdings. They may also limit their ownership or exposure to tracts within a certain buffer distance to the Atlantic or Gulf Coast in the US South. A rule of thumb is that the most significant timber damage typically occurs within 60-100 miles of the coast depending on the strength of the storm. This statement is not meant to discourage investment in timberland in coastal areas; these can be some of the most productive soils anywhere. This practice is in keeping with the old adage “do not put all of your eggs in one basket” because if the basket is dropped you may lose everything at once. Smaller landowners may not be able to diversify their holdings or choose the location of their property. They can reduce risk by keeping their forest healthy, healthy forests tend to be more resistant to damage. For example, when thinning harvests occur make sure they are done properly, over-thinned stands are most susceptible to wind damage. Landowners should harvest the mature stands when they are ready and market conditions are favorable, the longer you keep mature stands on the stump in higher risk areas, the more exposure for high loss. It is possible to insure timber stands against loss. There are several firms in the US South that offer standing timber insurance. In our experience landowners rarely purchase these policies, however this may make sense in certain situations. The landowner must consider the cost of the insurance premium and their risks. Generally the policy holder insures against individual perils, for example, wind, fire, lightening, ice, theft, etc. The more potential perils added to the policy the higher the increase in premium. A ballpark estimate of cost if 0.5-1.5% of the total standing timber value for each peril in premium cost per year. Because of the cost, it may not make sense to insure a young stand, but it may make sense to insure a mature stand until it can be harvested, especially if loss of that stand would have a huge negative impact on the owner’s overall financial well-being. For most insuring over the whole life of stand is not financially viable due to the negative effect it has on investment returns. If a forest is damaged there is potential for salvage harvesting to occur to extract some of the value. In general the landowner will not receive the same price in a salvage harvest as they would have selling the tract in normal conditions. The harvest is more difficult and dangerous for the logging crew, this can add harvest expense for the buyer and lower the landowner’s net income. Large storms can create an over-supply of timber in the marketplace and reduced prices for a long periods as effected landowners salvage their timber. Downed timber does not last for a long time, pine stems can develop a blue stain fungus in the wood within a short period, this can negatively effect the appearance of lumber and it the ability to use the wood for pulp. Generally damaged timber harvested within four to six weeks in summer has no negative appearance to the lumber or veneer, for framing lumber, uses the wood can last three to four months without problems, paneling and decorative board uses up to 12 months, and about 12 months for pulpwood uses. Hardwood sawtimber may last 6-12 months before significant damage occurs to the wood. The most valuable timber should be prioritized and harvested first as it incurs the largest loss potential. Large trees that are broken and splintered may have “ring shake” as a result of the damage, which is internal tearing in the wood and can make the tree unsuitable for lumber uses. A consulting forester can help the landowner examine stands and prioritize harvest areas to minimize losses for the landowner as much as possible. If your lands are affected by storm damage there is the possibility you may qualify for a casualty loss deduction on your state and/or federal income taxes. The landowner must follow multiple accounting requirements to substantiate the loss and report it on their income tax return. Landowners who experience a loss should consult with their tax preparer and consulting forester to be sure their loss is properly documented and applied. While much of the focus is on damage to the trees, storms can damage the forest infrastructure on managed timberland as well. Roads can be washed out, surfaces eroded, water bars destroyed, and even pond dams breached. Often creek crossings and culverts are washed out that will require repair to be able to access the stands for management and harvest operations. As soon as possible after storms pass, landowners and their advisors should survey their tracts for damage not only to the trees but to their infrastructure as well. The good news is the risk of catastrophic storm damage occurring to any individual tract or landowner is relatively low. Forests are resilient and can handle most natural disturbances very well. Most stands will experience minimal damage and can be treated and remain highly productive with good forest management. As in most matters, understanding your risks, and being prepared to respond when your risks become a reality, can greatly reduce the negative impacts associated with those risks.